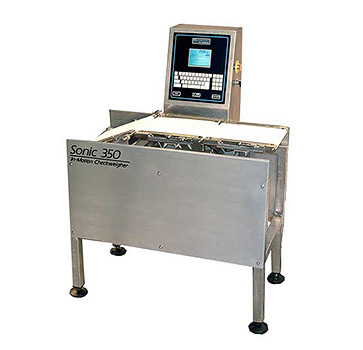 Sonic 350 In-Motion Checkweigher with 3-belt conveyor design and drop-nose style reject. Works well with products in flexible bags or pouches flow-wrapped trays, rejecting off-weight product without changing the direction of flow. 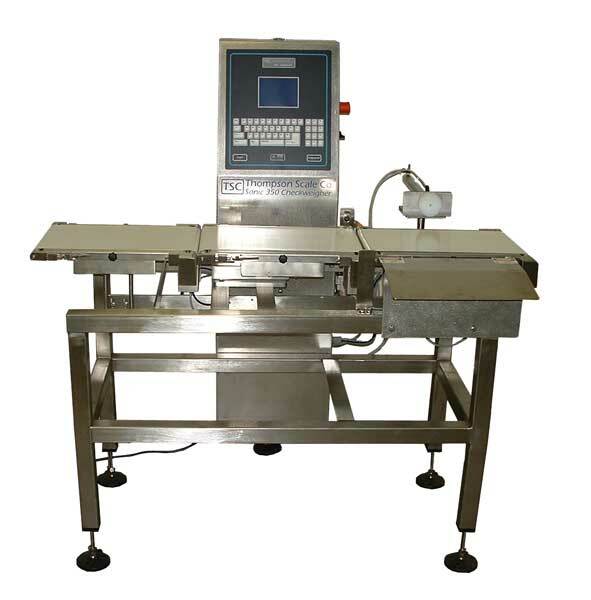 This style checkweigher is capable of production rates up to 250 ppm with accuracies up to +/-0.5g. 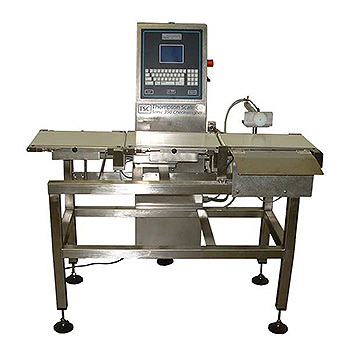 Frames and conveyors are constructed of all 304SS, with frames seal welded and ground. Conveyor belts are food-grade and can be removed without the need for tools. Conveyor sizes range from 12" long x 4" wide belts, up to 24" long x 24" wide belts, and are built to meet the customer's product sizes and application needs. 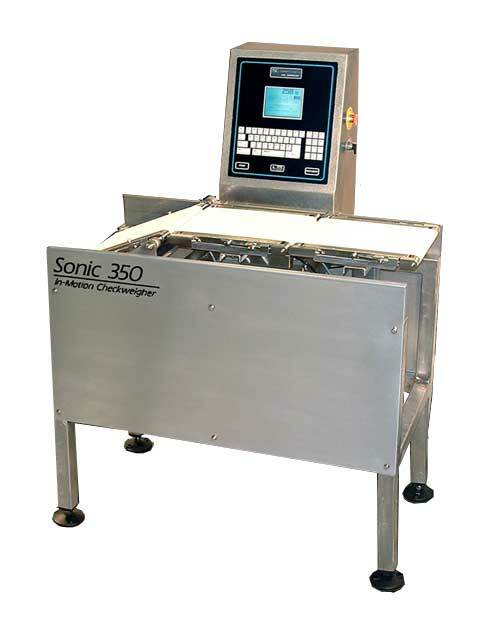 The checkweigher with the pusher reject is basically the same description, except that it is intended for rigid packages and ejects under/over weight packages using a simple pusher style air cylinder, discharging reject packages across a skid plate to the customer's reject table or accumulation area.